A man and woman were found in a car shot to death in what appears to be a murder-suicide witnessed by police. The two were found in a car in a rural area of Fairfield. On Thursday, at 5:35 p.m., a 911 call was made and police informed that a man and woman were involved in a domestic disturbance with a gun. The caller said the two were in a white Cadillac on the 3400 block of Chadbourne Road in Fairfield. Units from the California Highway Patrol and Solano County Sheriff’s Office located the Cadillac driving south on Chadbourne Road just South of Cordelia Road. Officers reported hearing one gunshot and seeing one muzzle flash as they were positioning their vehicles for a car stop while the Cadillac was still in motion. Another gunshot was heard and muzzle flash seen by officers seconds later. The car then rolled across the lane slowly and stopped at the side of the road. 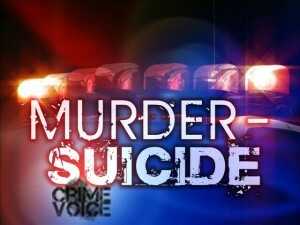 The victims were found each with one gunshot wound. The driver was identified as Erica Dominguez, 25, and the passenger as Enrique Preciado, 35, both Fairfield residents. A spokesman for the Sheriff’s Office said the case is under investigation but it appears the male passenger shot the female driver and turned the gun on himself afterward. The victims were taken to the Solano County Coroner’s Office where an autopsy is scheduled for Monday.